B.A.S. Detail of selected lot. 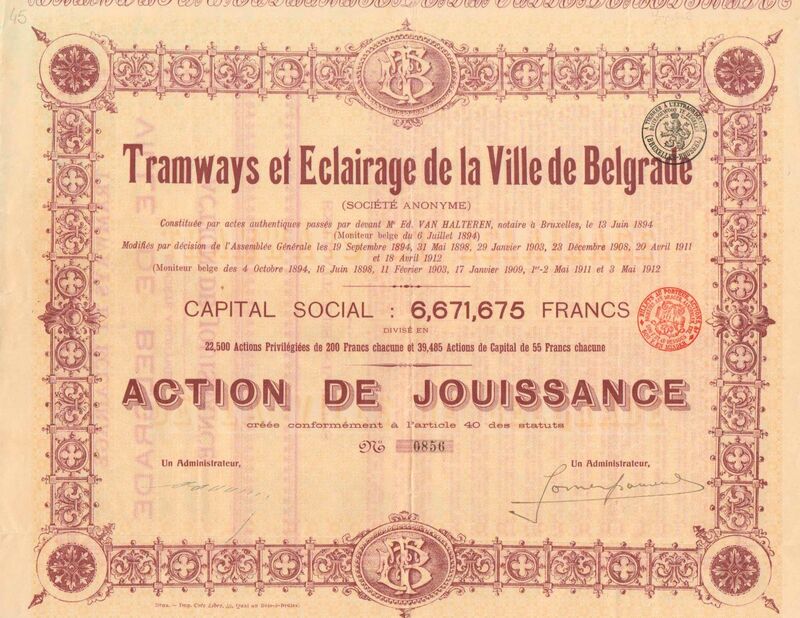 TRAMWAYS ET ECLAIRAGE DE LA VILLE DE BELGRADE S.A.